2. Stage it as accurately as possible. cure may be worse than the disease. might find it, over treat it, and damage menвЂ™s quality of life? etc.) can simply be monitored! therapy, to the major benefit of the patient. first termed the Male Lumpectomy. therapy is now carried out in some manner in major U.S.
yet low side effect risks. 3D Transperineal Prostate Mapping Biopsy (3D-PMB). tissue, it clearly shows the placement of biopsy needles. samples than the 10-12 commonly taken in a TRUS biopsy. the more dangerous cells tend to be. results of TRUS biopsy vs. 3D-PMB in over 180 patients (3). including its location, size and shape. long term cancer control as demonstrated by my data. is absolutely no credible clinical evidence that this happens. a great disserviceвЂ”especially if they proceed to treat you. all do no harmвЂќ (primum non nocere). of prostate cancer cases would be amenable to focal therapy. other ways of killing the tumor. Gleason 8 or greater. 15 patients had a PSA of 10 or greater. 29 patients were low risk, 32 medium risk, and 9 high risk. death in choosing this avenue. risk patients 88% (28/32) and for high risk patients 89% (8/9). BDSF of 72% at 5 years (10). See Table 2.
experience a rising PSA within years of the treatment. 1. Focal cryo has an ability to treat extracapsular disease. have a better chance of local control with ablative therapy. these remarkable results in medium and high risk patients. of untreated local residual cancer that can later spread. those 10 patients (9/10) remain BDF. bilateral cryo. Of those, 95% (19/20) were BDF. (with no pads) immediately after the first procedure (100%). 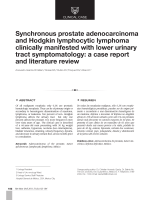 a combination of ADT, radiation or radical prostatectomy). these results are consistent with other focal therapy series. 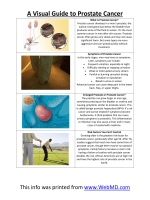 further procedure for urinary obstruction. that reported with robotic RP and with better quality of life. treatments with a published, peer-reviewed track record vs.
вЂњthe latestвЂќ innovations without long-term results. treatment of primary prostate cancer: a new approach to preserving potency. Clin Oncol.В 2009 Sep 10;27(26):4321-6. 2009 Aug 3.
cancer. 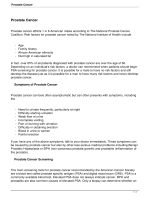 Prostate Cancer and Prostatic Diseases (2011) 14,В i232вЂ“237. the reference standard. 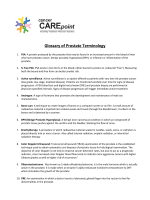 Prostate Cancer and Prostatic Disease (2013), 1вЂ“7. (8) Ablin et al.В Cryobiology,В 8:271, 1971.
years. Eur J Urol 2012 July;62(1)55-63.
fills, the bladder pressure remains low without any spasms.